Many perfume brands have a single big success, a huge heyday-payday fragrance ("I'm young! I'm new! EVERYONE wants me! Ich bin der Geist der Zeit!") Middle and old age are often unkind to such one-hit wonders. Joop! fragrances, especially Joop! Homme, were once sold in upscale department stores. When Joop! Homme (Joop! 's one certifiable smash hit) debuted in 1989, it rested comfortably in places like Bloomingdale's, Bullocks Wilshire and Saks Fifth Avenue. Now, Kohl's and Boots are as good as it gets for Joop! Homme; you can easily buy a big bottle for $13-25 at Walmart, Target or perfume discounters. Joop! Homme is no longer the disco queen, but the disco has-been. Joop! WOW! tells a story of a journey of transformation where the Joop! man is a powerful, groomed and confident gentleman with nothing to prove to himself or others. The Joop! man has natural charisma and is a man of power. The only thing missing is the finishing touch, one drop of Joop! WOW! and he becomes irresistible, creating the WOW! effect wherever he goes. I still ordered a sample of WOW! 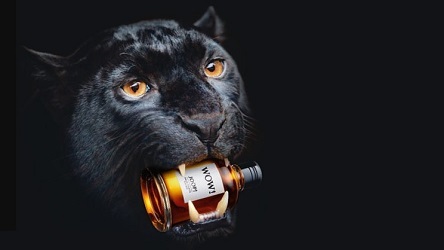 from Europe because, hey, there's a panther in the ads! Isn't that a good enough reason? WOW! starts with a pleasant combo of restrained violet leaf and bergamot, with just a hint of cardamom. There's a touch of "roughness," too, with the wood-y fir note. Suddenly, things lighten and sweeten with tonka bean. Cashmeran (wood-y, balmy, mildly musky) wraps things up. And there you have it! Compared to current Joop! Homme! (drastically reformulated — I've heard it described as the combined aromas emanating from chemical factories producing fuel, paint, plastic/vinyl, and the like) WOW! smells downright natural. I don't see WOW! as the perfume of a "power guy" but as a perfect cologne to give a teen who wants his first adult fragrance. Due to WOW! 's mild sillage and average lasting power, this imagined teen won't embarrass himself with an overdose and he won't smell cheap either. I should have known WOW! would be wow-less...that panther is stuffed. Joop! WOW! Eau de Toilette is not, as far as I can tell, available in the US. In the UK, pricing is £32 (60 ml) and £50 (100 ml) at Boots. 1. Listed fragrance notes of violet leaf, bergamot, cardamom, fir balsam, geranium, vetiver, tonka bean/vanilla and cashmeran. Lower case “wow”. Even kitty looks bored. Or dead. JJ, oh, he’s dead alright. Your reviews are always a joy to read, Kevin. Reminds me of a vendor competing for business that said they provide 24 hour customer service. When pressed for clarification (because we did not think it was that critical of a service to require it), they admitted that it was 24 hours over 3 days. Needless to say, the vendor was cut in the first round. Hajusuuri, whereby WOW! becomes SO? Kelly…I think WOW! Would be a nice change for him. It looks too much like an airline mini bottle of scotch, or one of those expensive single malts. Someone is going to drink it accidentally. I wonder what the lethal dose of EdT is? Maybe they should have called it Meh! I like sweet scents but the original Joop!s were just too, too much. They litteraly made me nauseous. Des esseintes, they were outrageously powerful. Still, too bad they altered Joop! Homme so drastically. Would that be MEH! or meh. ? This review is just in time! My son is on the verge of getting/needing a first fragrance (he doesn’t know he needs it yet, but as my son knows he will have something on his shelf soon enough). I’ll keep my eyes open for this one! Nightingale: hope you come across it then. My husband wears the original Joop and it smells great on him, but when we run out of the vintage stock that will be it. 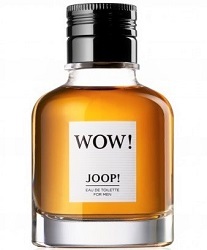 Clearly Joop Wow is not going to be a replacement. cazaubon: I have not looked lately but I would think there’s LOTS of vintage stock? Certainly go for that. WOW! is a different scent altogether…Joop! Homme should have been the “WOW!” scent for sure.